I have recently finished some paintings and have not had a chance to show them on my blog yet. 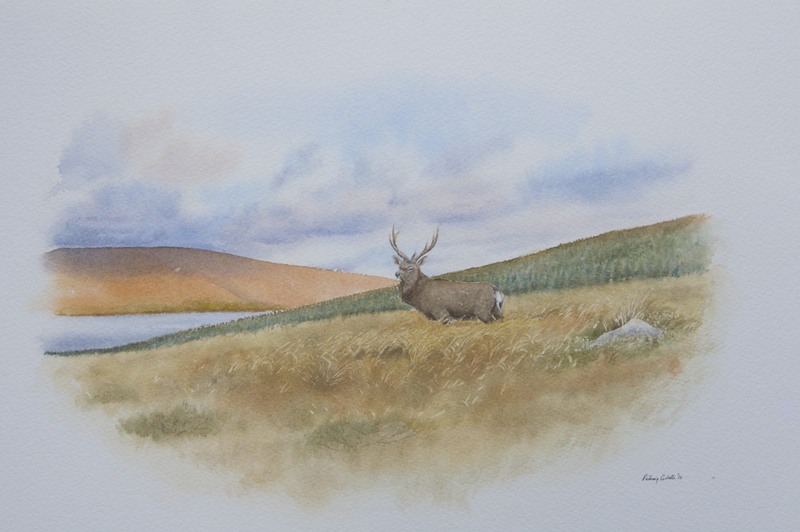 The first is a watercolour vignette of a Sika stag in the Wiclklow hills. He is making his way across the bog in the early morning light seeking the refuge of the spruce to pass the day.The image size is 375mm x 255mm. 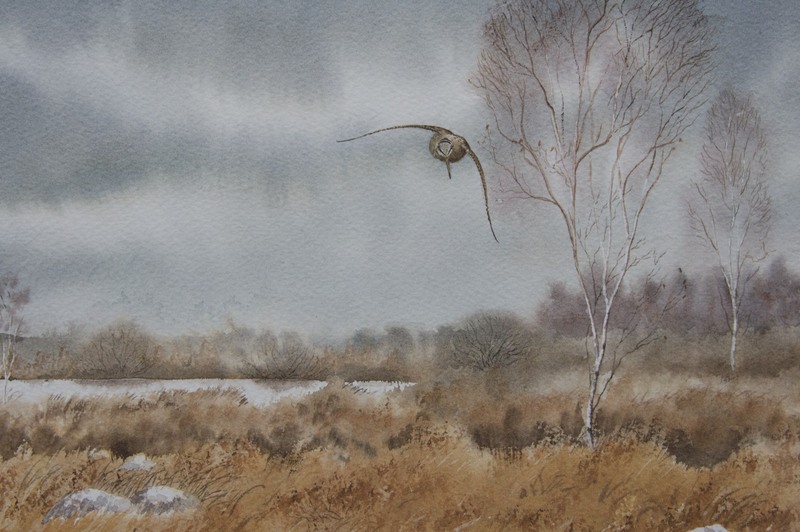 The second picture is an atmospheric painting of a Connemara bog scene with a woodcock flitting by some birches.This picture measures 310mm x 255mm. 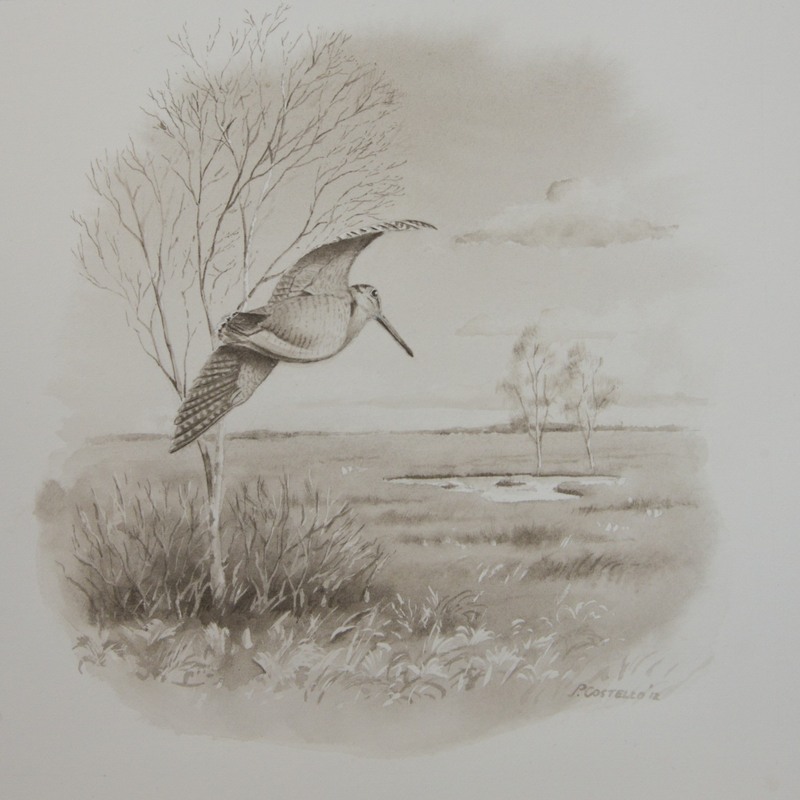 The final picture is a lovely little vignette of a woodcock heading out over the bog to feed.It is painted with sepia colour only and this gives the picture a very unified look. The image size is 150mm x 150mm. All these paintings are beautifully framed. We love the backgrounds Padraig, especially in the colour woodcock. Some of your best!